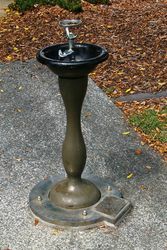 A drinking fountain commemorates the 50th anniversary of the landing at Gallipoli during World War One. The Australian and New Zealand forces landed on Gallipoli on 25 April, meeting fierce resistance from the Ottoman Turkish defenders. What had been planned as a bold stroke to knock Turkey out of the war quickly became a stalemate, and the campaign dragged on for eight months. At the end of 1915 the allied forces were evacuated, after both sides had suffered heavy casualties and endured great hardships. 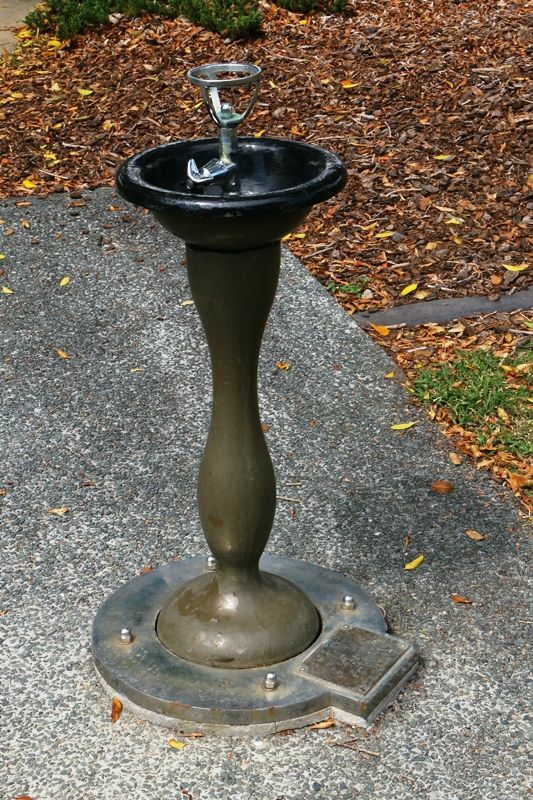 Over 8,000 Australian soldiers had been killed. 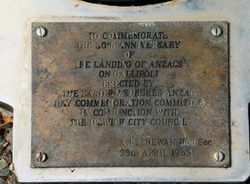 News of the landing on Gallipoli had made a profound impact on Australians at home, and the 25th April soon became the day on which Australians remembered the sacrifice of those who had died in the war.